those look amazing! i learned earlier this year how great zucchini can be in baking! love it! Wow, these look so dense and amazing! 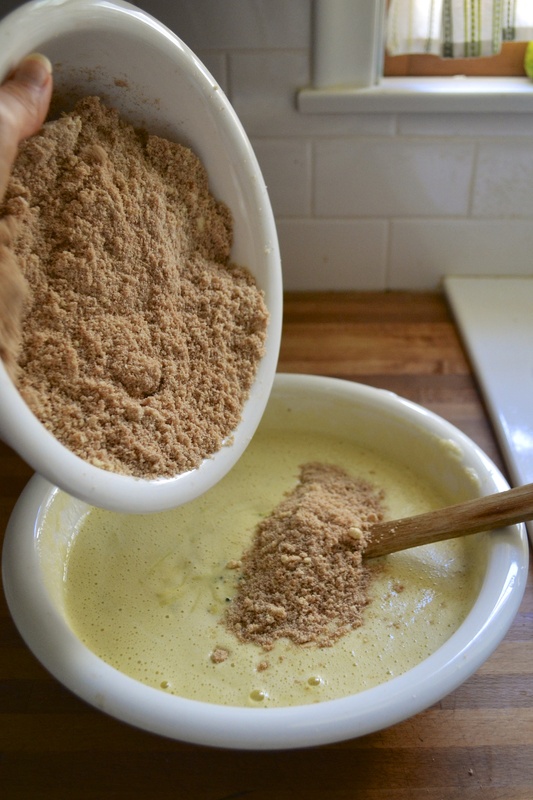 I’d really like to try a version with coconut flour. I know it’s nowhere near an exact substitution but maybe I’ll toy around with it. Beautiful photos as usual, and congrats on your anniversary! Thanks. They are actually very light and fluffy and not very dense. But they are quite filling. Let me know how the coconut flour muffins turn out. You will definitely have to increase the egg content since coconut flour adsorbs a lot of liquid. Will cocoa powder be the same/difference as the cacao? 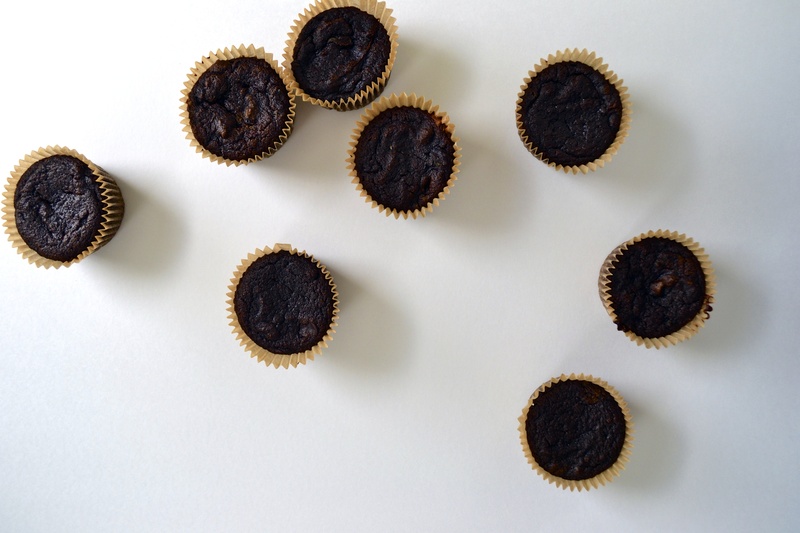 Do you prefer using the Almond flour over the Almond butter – they’re must be a difference..? Made these with 2 1/2 cups Almond flour + 1/2 cup of the GF flour from Costco. Used cocoa instead (didn’t have cacao), they turned out great. 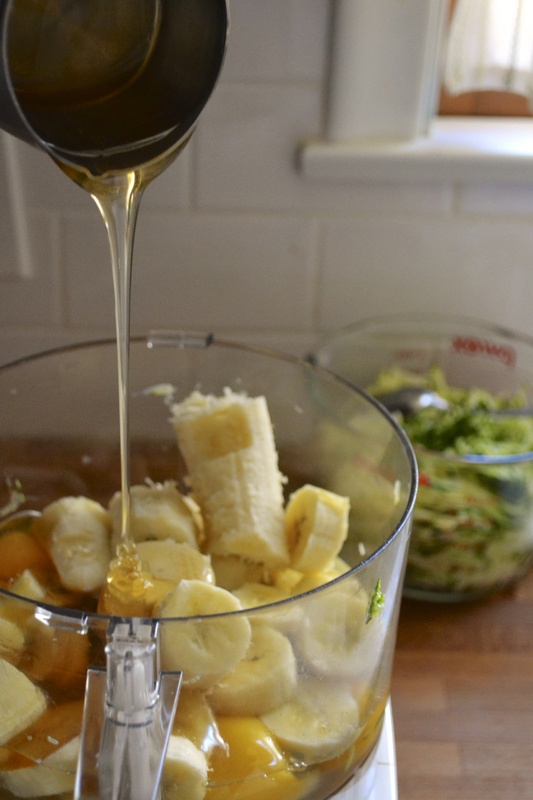 Next time I think I’ll add a dollop of Almond butter – think that’ll give a nice touch of flavor. 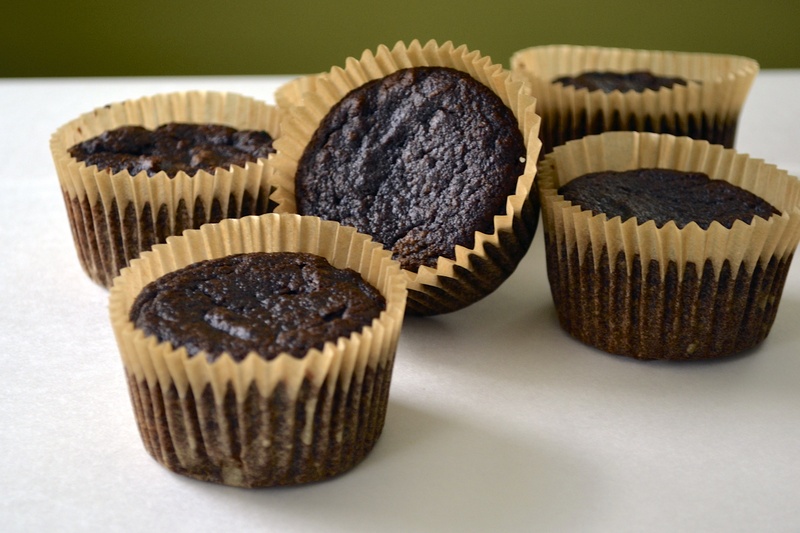 These were tasty, but I do prefer the Zucchini brownie recipe (maybe because it’s all Almond butter in that?). Hi Elyn, I actually do not have any experience cooking with the Costco gluten free flour blend. A lot of GF flour blends have a lot more starches in them and I don’t know if you can use them 1 to 1 in place of almond flour. 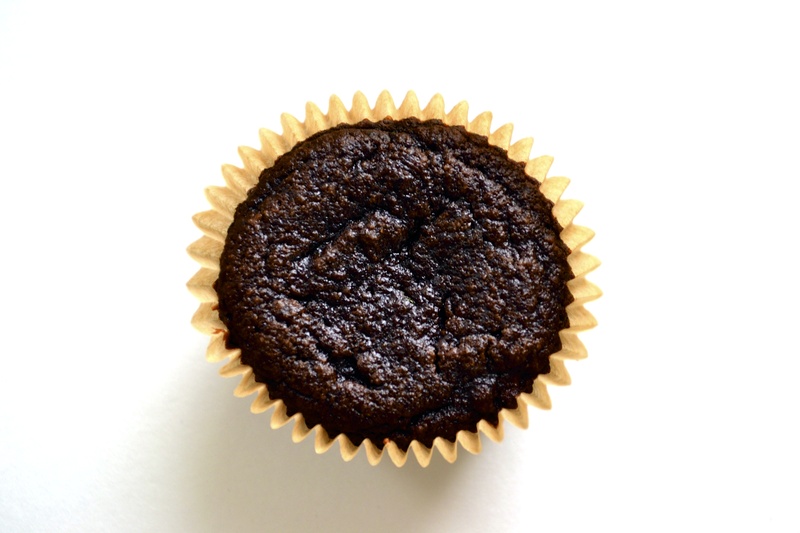 I like using almond flour for cupcakes, cakes, and muffins because the end result has a lighter crumb as opposed to using 100% nut butter. 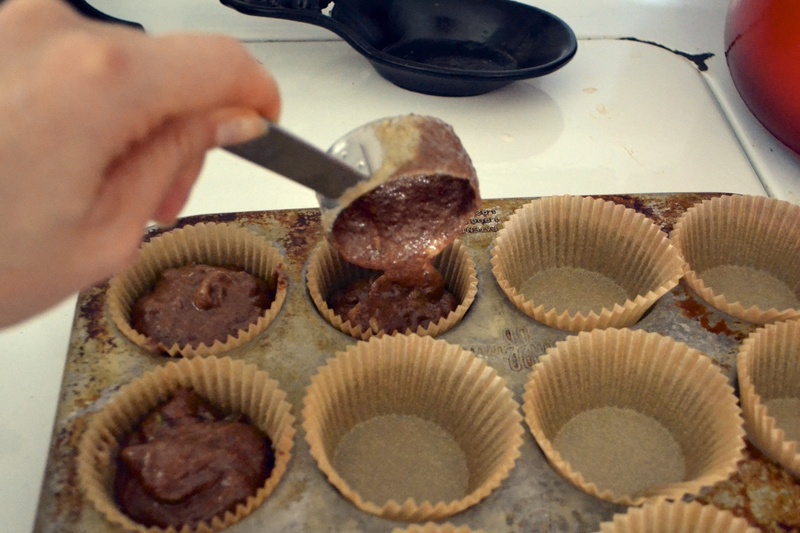 I have also used nut butters for muffins and brownies with great results too, but just slightly more dense. Glad you enjoyed the recipes. I always love hearing feedback!